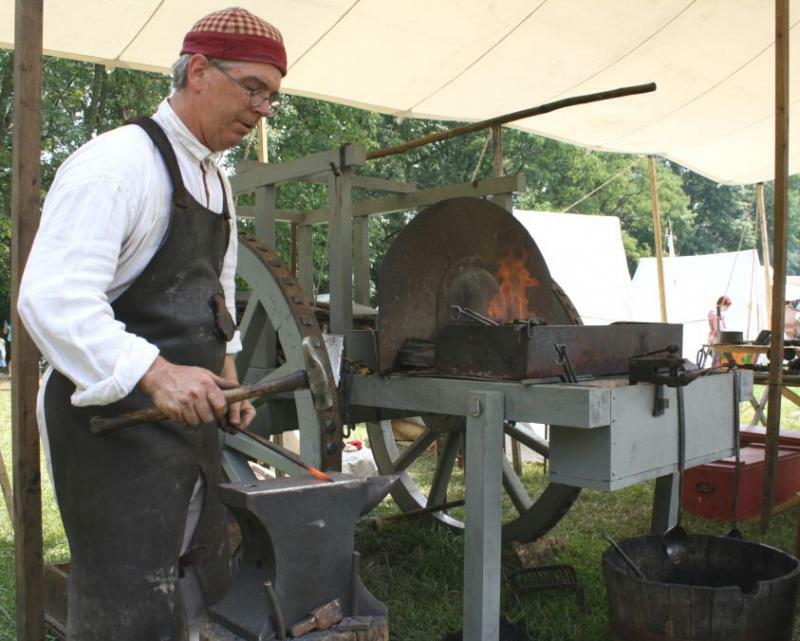 When Jymm is not working in his shop in Ambridge, Pennsylvania, he can be seen throughout the northeastern and midwestern parts of the United States at various craft shows and historical re-enactments demonstrating his art with an authentic reproduction of an 18th. century traveling forge. 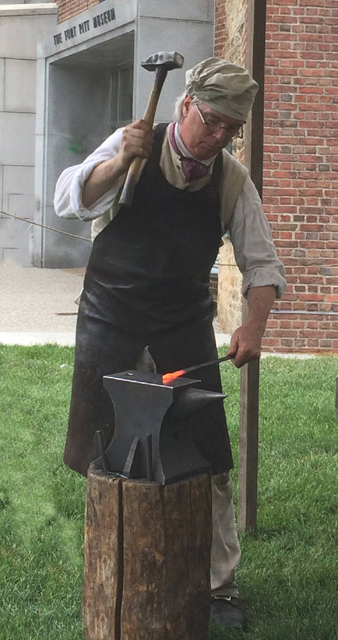 He also offers hands on instructions for those interested in learning the blacksmith’s trade. Jymm has been an instructor at Touchstone Center for the Crafts near Farmington, Pennsylvania, on numerous occasions. 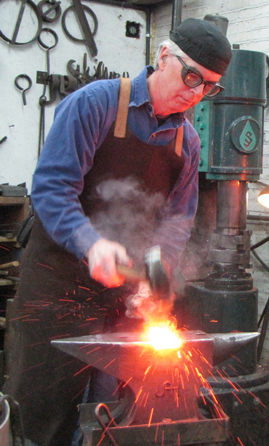 He was also chosen as one of four featured demonstrators for their first “Hart Moore Hammer In” in 2002, as well as demonstrating for other regional blacksmith conferences. 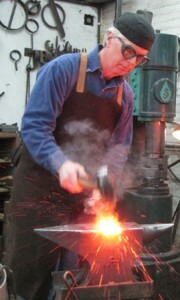 In 2002, 2003, & 2004, Jymm received a grant to teach an apprentice with the Apprenticeship in Traditional Arts Program from the Pennsylvania Council on the Arts, a state agency in the Governor’s Office of the Commonwealth of Pennsylvania, in partnership with the Institute for Cultural Partnerships, as well as a grant for a Fellowship in 2005. He also recieved a grant in 2004 from the Pennsylvania Rural Arts Alliance to teach “at risk kids” at Pressly Ridge At Ohiopyle, Pennsylvania.